Starting from first impressions, we were worried. Escape IT Grandview’s location is adjacent to a restaurant with the main entrance recessed from the main road, so it’s hard to spot. Be sure to approach slowly if you don’t want to pass it by. Those who have mobility issues should be advised you’ll need to use stairs to access the lower level of the building. As we entered the office space which doubles as a control room and lobby, we continued to notice a bunch of little things missing like refreshments, snacks, thematic company branding, etc, etc, etc. That feeling of worry kept increasing and we started to assume we’d be making a long list of helpful recommendations for our host by the end of the day. The owner and designer of Escape IT Grandview was very friendly however so there was a little glimmer of hope moving into the first of two rooms… The Speakeasy. Wait, what’s going on here? The room is AMAZING! The room quality wasn’t just good it was exceptional! We’ve seen many ‘speakeasy’ themed rooms across North America, but this could very well be the most impressive at first sight. Real wood, metal, and other building materials were used in the design and props. Impressive layout and use of space. Props that fit within the theme and the time period… etc, etc, etc. The audio on one of the props was a bit off, but given how impressive we enjoyed every little thing, it didn’t seem like that big of a deal. We could easily go on about the little things that impressed us; it’s definitely not what we expected, but now we were excited to be here and ready to play! Was the immersion any less impressive? Nope, it was also incredible. A great soundtrack, good use of theme, a story that was engaging with reminders of our mission throughout, and even a couple little surprises to delight any seasoned enthusiast. 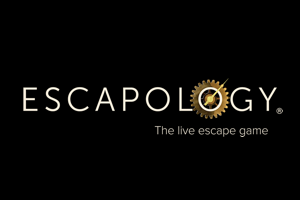 If there was one minor improvement needed here, it would be our common refrain for most escape rooms – to develop the story as the game plays along. Having said that, this is one of the few times where we didn’t feel the absence of purpose or story even though it was fully revealed at the beginning. The reminders of our mission through the puzzles, the soundtrack, and the environmental elements were more than enough. So let’s talk about fun and our recommendations… Should you visit this room if you’re an enthusiast? Yes. Should you visit this room if you’re a group of new players? Yes. Should you visit… let’s just jump ahead shall we? Yes, Yes, YES!!! The Speakeasy is a must for everyone! 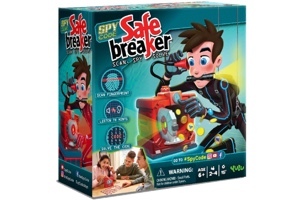 It can easily be enjoyed by group sizes from 3-8 and even if you’re not fully engaged in the puzzles, the atmosphere and design alone will have you impressed! As it stands right now this room makes our top three most enjoyed rooms in all of Ohio! It’s right up there with Houdini’s The Oval Office (in Cincinnati) and Escape Rooms By FrankNicky’s Trapped In The 80’s (in Sandusky). We enjoyed it THAT much and we know you will too!